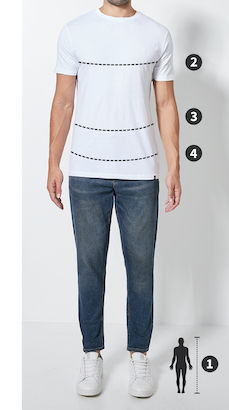 Please note that Superbalist men’s jackets, tees & tops are designed to fit the following measurements. Some brands may vary from these measurements but the table can still be used as a guide. Follow through with the cosy sports look for the rest of the season with this crew neck sweatshirt. Featuring a colour block panel design for a retro look and ribbed cuffs and waist, it’s best worn a size up with skinny jeans or track pants and your favourite sneakers.